While some NFL fans become depressed or move on to basketball, hockey or baseball due to the end of the football season, others like myself and the CPGM Front Office live for this moment to evaluate prospects entering the NFL Draft. The NFL off-season is when NFL executives, front office personnel, coaches and scouts make their money. This is when NFL teams look at their salary cap and try and make shrewd moves to assemble a roster than can get all the way to the Super Bowl and be crowned champions. The NFL unlike the other major sports is truly a league in which teams are potentially one off-season away from making that destined run from losers to Super Bowl champions. You just have to get the right players in free agency and KILL the draft. Each week CPGM Headley (Yes third person) will give you a Prospect of the Week that the draft community might be too low on based on what I saw on tape. Watching tape on Jordan Lasley was eye opening and the pro comp that immediately came to mind was one of my favorite receivers in the league, T.Y. Hilton. 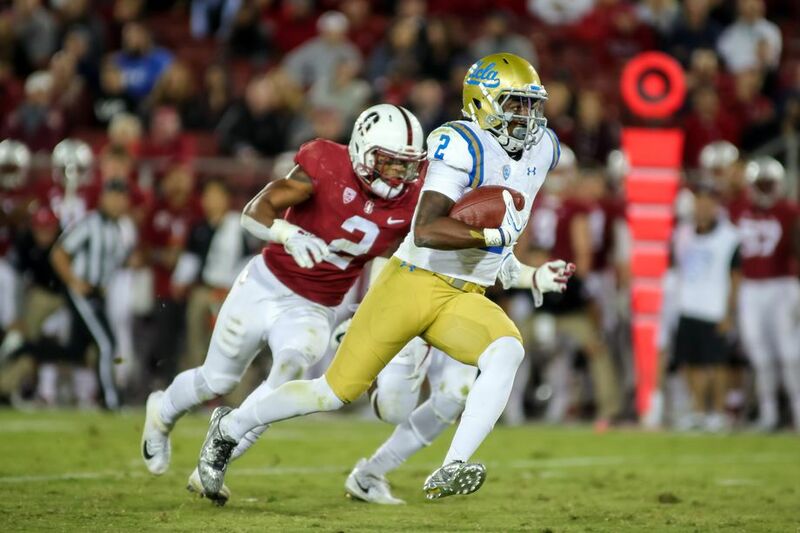 NFL Draft prognosticators are all over the board on the UCLA junior as he has some on the field and off the field concerns. Like some of his other teammates at UCLA this past season, Lasley was plagued with a case of the drops. He needs to do a better job of catching passes outside of his frame and in traffic. The off the field issues he has had in his career can potentially drop him to Day 3 of the NFL Draft. He missed 3 games this past season due to a disciplinary matter, had 2 arrests in 2016 and has had recurring suspensions throughout his collegiate career. Now that I got the negatives out of the way, lets focus on where Lasley wins on the field and what can make him the biggest steal in the upcoming draft. Other than my number 1 receiver Calvin Ridley, Lasley’s quickness off the line of scrimmage in and out of his break is unrivaled in this draft class. He has an explosive first step that he uses to win early and has blazing speed to get behind most defenses. He is physical and aggressive with opponents in both the run and passing game as he can take short passes and go the distance. His biggest attribute is his ability to track the deep ball down the field with ease and concentration. We’ve seen speed guys flame out in the league but we’ve also seen players like Tyreek Hill and DeSean Jackson completely change the dynamics of an offense. If Lasley can overcome his drawbacks, he will become a name to be reckoned with for years to come.